The PaxLair Statehood hosted a special tour for EM Vladimere on Thursday, November 19, 2009. The tour was part of the banner and teleporter project brought up by Chesapeake citizens and the Event Managers. The PaxLair tour went to PaxOku in Tokuno, the Olag Hai Orc Fort in Felucca, and PaxLair City in Felucca. The tour of Dragons Watch took place the previous day. As a reminder, PaxLair is a Statehood of three cities: PaxLair City, Dragons Watch, and PaxOku. PaxLair also has various outposts, forts, centers, and favorite fishing spots (for the Governor). The PaxOku tour highlighted the Silent Rose Library with a theatre and over 800 "player books". 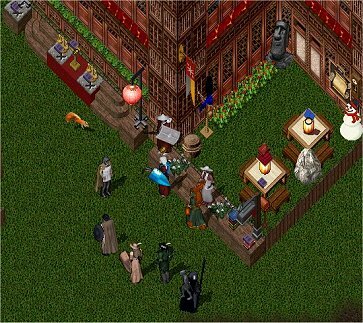 The tour also showed the Tea House that has house-to-house teleporters to PaxLair City and Dragons Watch; the Museum of the Virtues; and several other houses. PaxOku is focusing on cultural aspects of communities, history, events, quests, and creativity. 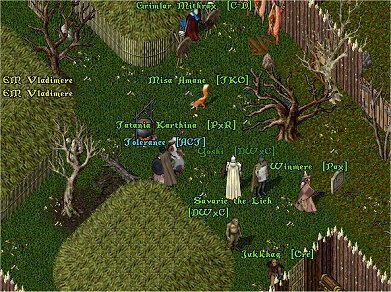 The Olag Hai Orc Fort tour illustrated history with the Interest Game Masters and Seers in the 1998-1999 era. The IGMs built a fort for the player-orcs, not requiring any player-housing. This orc fort focuses on combat-oriented events and interaction, preferably for Role-playing purposes. The PaxLair City tour focused on history and current activities in the city. 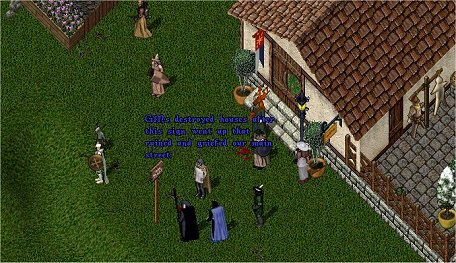 PaxLair City was "blessed" by the IGMs and Seers during 1998-1999 with unique items in some buildings and around the streets. The City is the Statehood capital and available for use by all Statehood citizens; in fact, nearly all facilities (especially the "blessed" buildings) are open-to-all on the shard. The PaxLair tour covered about 30 houses and 10 outdoor features in three separate locations on two facets. It was attended by EM Vladimere, Statehood citizens, and visitors.